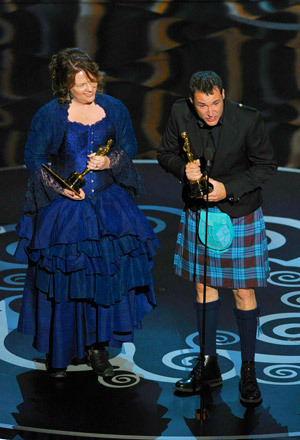 Brave took home the Academy Award for Best Animated Feature tonight in a field of five great animated films. The general popular opinion in the media seemed to favor Wreck-It Ralph, but Pixar Portal readers had it right. The conclusion of our poll of yesterday left Brave with a wide lead over all other contestants. While I agree that the storyline for Wreck-It Ralph is more original than that of Brave, I think that the sum total of Brave gives it a wide lead over the other nominees, and a well-deserved win. Congratulations to Brenda Chapman, Mark Andrews and all of the crew and vocal talent for an exciting win tonight!